Click For More Info 2008 - 2008 AVENGER ALL V6 2.7 ALL ALL ALL DENSO is the OE supplier for this vehicle; OE-specified Oil included. Click For More Info 2008 - 2008 AVENGER ALL V6 3.5 ALL ALL ALL DENSO is the OE supplier for this vehicle; OE-specified Oil included. Click For More Info 2008 - 2011 AVENGER ALL L4 2.4 ALL ALL ALL DENSO is the OE supplier for this vehicle; OE-specified Oil included. Click For More Info 2007 - 2008 CALIBER ALL L4 1.8 ALL ALL ALL DENSO is the OE supplier for this vehicle; OE-specified Oil included. Click For More Info 2007 - 2008 CALIBER ALL L4 2.4 ALL ALL ALL DENSO is the OE supplier for this vehicle; OE-specified Oil included. Click For More Info 2007 - 2009 CALIBER ALL L4 2.0 ALL ALL ALL DENSO is the OE supplier for this vehicle; OE-specified Oil included. Click For More Info 2001 - 2007 CARAVAN ALL V6 3.3 ALL ALL ALL DENSO is the OE supplier for this vehicle; OE-specified Oil included. Click For More Info 2001 - 2007 CARAVAN SE L4 2.4 ALL ALL ALL DENSO is the OE supplier for this vehicle; OE-specified Oil included. Click For More Info 2002 - 2002 CARAVAN EC L4 2.4 ALL ALL ALL DENSO is the OE supplier for this vehicle; OE-specified Oil included. Click For More Info 2008 - 2010 CHALLENGER ALL V8 6.1 ALL ALL ALL DENSO is the OE supplier for this vehicle; OE-specified Oil included. Click For More Info 2009 - 2010 CHALLENGER ALL V6 3.5 ALL ALL ALL DENSO is the OE supplier for this vehicle; OE-specified Oil included. Click For More Info 2011 - 2014 CHALLENGER ALL V6 3.6 ALL ALL ALL OE recommended replacement part. OE-specified Oil included. Click For More Info 2006 - 2006 CHARGER ALL V6 3.5 ALL ALL ALL DENSO is the OE supplier for this vehicle; OE-specified Oil included. Click For More Info 2006 - 2008 CHARGER ALL V8 5.7 ALL ALL ALL DENSO is the OE supplier for this vehicle; OE-specified Oil included. Click For More Info 2006 - 2010 CHARGER ALL V8 6.1 ALL ALL ALL DENSO is the OE supplier for this vehicle; OE-specified Oil included. Click For More Info 2006 - 2010 CHARGER ALL V6 2.7 ALL ALL ALL DENSO is the OE supplier for this vehicle; OE-specified Oil included. Click For More Info 2007 - 2010 CHARGER ALL V6 3.5 ALL ALL ALL DENSO is the OE supplier for this vehicle; OE-specified Oil included. Click For More Info 2011 - 2011 CHARGER ALL V8 5.7 ALL ALL ALL OE recommended replacement part. OE-specified Oil included. Click For More Info 2011 - 2013 CHARGER ALL V6 3.6 ALL ALL ALL OE recommended replacement part. OE-specified Oil included. Click For More Info 1994 - 1994 DAKOTA ALL V6 3.9 ALL ALL ALL OE recommended replacement part. OE-specified Oil included. Click For More Info 1994 - 1995 DAKOTA ALL V8 5.2 ALL ALL ALL OE recommended replacement part. OE-specified Oil included. Click For More Info 1995 - 2001 DAKOTA ALL V6 3.9 ALL ALL ALL OE recommended replacement part. OE-specified Oil included. Click For More Info 1996 - 1997 DAKOTA ALL V8 5.2 ALL ALL ALL OE recommended replacement part. OE-specified Oil included. Click For More Info 1996 - 2002 DAKOTA ALL L4 2.5 ALL ALL ALL OE recommended replacement part. OE-specified Oil included. Click For More Info 1998 - 1999 DAKOTA BASE V8 5.2 ALL ALL ALL OE recommended replacement part. OE-specified Oil included. Click For More Info 1998 - 1999 DAKOTA SLT V8 5.2 ALL ALL ALL OE recommended replacement part. OE-specified Oil included. Click For More Info 1998 - 1999 DAKOTA SPORT V8 5.2 ALL ALL ALL OE recommended replacement part. OE-specified Oil included. Click For More Info 1998 - 2001 DAKOTA BASE L4 2.5 ALL ALL ALL OE recommended replacement part. OE-specified Oil included. Click For More Info 1998 - 2001 DAKOTA SLT L4 2.5 ALL ALL ALL OE recommended replacement part. OE-specified Oil included. Click For More Info 1998 - 2001 DAKOTA SPORT L4 2.5 ALL ALL ALL OE recommended replacement part. OE-specified Oil included. Click For More Info 1998 - 2002 DAKOTA ALL V8 5.9 ALL ALL ALL OE recommended replacement part. OE-specified Oil included. Click For More Info 2000 - 2001 DAKOTA BASE V8 4.7 ALL ALL ALL OE recommended replacement part. OE-specified Oil included. Click For More Info 2000 - 2001 DAKOTA SLT V8 4.7 ALL ALL ALL OE recommended replacement part. OE-specified Oil included. Click For More Info 2000 - 2001 DAKOTA SPORT V8 4.7 ALL ALL ALL OE recommended replacement part. OE-specified Oil included. Click For More Info 2002 - 2002 DAKOTA ALL V8 4.7 ALL ALL ALL OE recommended replacement part. OE-specified Oil included. Click For More Info 2003 - 2003 DAKOTA BASE V8 4.7 ALL ALL ALL OE recommended replacement part. OE-specified Oil included. Click For More Info 2003 - 2003 DAKOTA SLT V8 4.7 ALL ALL ALL OE recommended replacement part. OE-specified Oil included. Click For More Info 2003 - 2003 DAKOTA SPORT V8 4.7 ALL ALL ALL OE recommended replacement part. OE-specified Oil included. Click For More Info 2004 - 2007 DAKOTA ALL V6 3.7 ALL ALL ALL DENSO is the OE supplier for this vehicle; OE-specified Oil included. Click For More Info 2004 - 2007 DAKOTA ALL V8 4.7 ALL ALL ALL DENSO is the OE supplier for this vehicle; OE-specified Oil included. Click For More Info 2008 - 2010 DAKOTA ALL V6 3.7 ALL ALL ALL DENSO is the OE supplier for this vehicle; OE-specified Oil included. Click For More Info 2008 - 2010 DAKOTA ALL V8 4.7 ALL ALL ALL DENSO is the OE supplier for this vehicle; OE-specified Oil included. Click For More Info 1998 - 1999 DURANGO ALL V6 3.9 ALL ALL ALL OE recommended replacement part. OE-specified Oil included. Click For More Info 1998 - 2000 DURANGO ALL V8 5.2 ALL ALL ALL OE recommended replacement part. OE-specified Oil included. Click For More Info 1998 - 2001 DURANGO ALL V8 5.9 ALL ALL ALL OE recommended replacement part. OE-specified Oil included. Click For More Info 2000 - 2001 DURANGO ALL V8 4.7 ALL ALL ALL OE recommended replacement part. OE-specified Oil included. Click For More Info 2004 - 2007 DURANGO ALL V6 3.7 ALL ALL ALL DENSO is the OE supplier for this vehicle; OE-specified Oil included. Click For More Info 2004 - 2007 DURANGO ALL V8 4.7 ALL ALL ALL DENSO is the OE supplier for this vehicle; OE-specified Oil included. Click For More Info 2005 - 2008 DURANGO ALL V8 5.7 ALL ALL ALL DENSO is the OE supplier for this vehicle; OE-specified Oil included. Click For More Info 2009 - 2009 DURANGO ALL V8 5.7 ALL ALL ALL DENSO is the OE supplier for this vehicle; OE-specified Oil included. Click For More Info 2001 - 2007 GRAND CARAVAN ALL V6 3.3 ALL ALL ALL DENSO is the OE supplier for this vehicle; OE-specified Oil included. Click For More Info 2001 - 2007 GRAND CARAVAN ALL V6 3.8 ALL ALL ALL DENSO is the OE supplier for this vehicle; OE-specified Oil included. Click For More Info 2008 - 2010 GRAND CARAVAN ALL V6 3.8 ALL ALL ALL DENSO is the OE supplier for this vehicle; OE-specified Oil included. Click For More Info 1998 - 2000 INTREPID ALL V6 3.2 ALL ALL ALL DENSO is the OE supplier for this vehicle; OE-specified O-rings and Oil included. Click For More Info 1998 - 2004 INTREPID ALL V6 2.7 ALL ALL ALL DENSO is the OE supplier for this vehicle; OE-specified O-rings and Oil included. Click For More Info 2000 - 2004 INTREPID ALL V6 3.5 ALL ALL ALL DENSO is the OE supplier for this vehicle; OE-specified O-rings and Oil included. Click For More Info 2009 - 2012 JOURNEY ALL L4 2.4 ALL ALL ALL DENSO is the OE supplier for this vehicle; OE-specified Oil included. Click For More Info 2005 - 2005 MAGNUM ALL V6 2.7 ALL ALL ALL DENSO is the OE supplier for this vehicle; OE-specified Oil included. Click For More Info 2005 - 2005 MAGNUM ALL V6 3.5 ALL ALL ALL DENSO is the OE supplier for this vehicle; OE-specified Oil included. Click For More Info 2005 - 2008 MAGNUM ALL V8 5.7 ALL ALL ALL DENSO is the OE supplier for this vehicle; OE-specified Oil included. Click For More Info 2006 - 2006 MAGNUM ALL V6 3.5 ALL ALL ALL DENSO is the OE supplier for this vehicle; OE-specified Oil included. Click For More Info 2006 - 2008 MAGNUM ALL V6 2.7 ALL ALL ALL DENSO is the OE supplier for this vehicle; OE-specified Oil included. Click For More Info 2006 - 2008 MAGNUM ALL V8 6.1 ALL ALL ALL DENSO is the OE supplier for this vehicle; OE-specified Oil included. Click For More Info 2007 - 2008 MAGNUM ALL V6 3.5 ALL ALL ALL DENSO is the OE supplier for this vehicle; OE-specified Oil included. 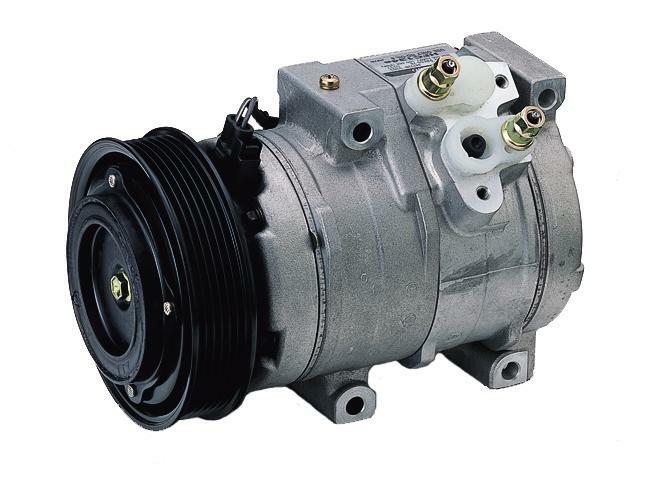 Click For More Info 2007 - 2008 NITRO ALL V6 3.7 ALL ALL ALL OE recommended replacement part. OE-specified Oil included. Click For More Info 2009 - 2011 NITRO ALL V6 3.7 ALL ALL ALL OE recommended replacement part. OE-specified Oil included. Click For More Info 1994 - 1995 RAM 1500 ALL V6 3.9 ALL ALL ALL OE recommended replacement part. OE-specified Oil included. Click For More Info 1994 - 1995 RAM 1500 ALL V8 5.2 ALL ALL ALL OE recommended replacement part. OE-specified Oil included. Click For More Info 1994 - 1995 RAM 1500 ALL V8 5.9 ALL ALL ALL OE recommended replacement part. OE-specified Oil included. Click For More Info 1996 - 2001 RAM 1500 ALL V6 3.9 ALL ALL ALL OE recommended replacement part. OE-specified Oil included. Click For More Info 1996 - 2001 RAM 1500 ALL V8 5.2 ALL ALL ALL OE recommended replacement part. OE-specified Oil included. Click For More Info 1996 - 2002 RAM 1500 ALL V8 5.9 ALL ALL ALL OE recommended replacement part. OE-specified Oil included. Click For More Info 2002 - 2003 RAM 1500 ALL V6 3.7 ALL ALL ALL OE recommended replacement part. OE-specified Oil included. Click For More Info 2002 - 2003 RAM 1500 ALL V8 4.7 ALL ALL ALL OE recommended replacement part. OE-specified Oil included. Click For More Info 2004 - 2007 RAM 1500 ALL V6 3.7 ALL ALL ALL DENSO is the OE supplier for this vehicle; OE-specified Oil included. Click For More Info 2004 - 2007 RAM 1500 ALL V8 4.7 ALL ALL ALL DENSO is the OE supplier for this vehicle; OE-specified Oil included. Click For More Info 2008 - 2010 RAM 1500 ALL V6 3.7 ALL ALL ALL DENSO is the OE supplier for this vehicle; OE-specified Oil included. Click For More Info 2008 - 2010 RAM 1500 ALL V8 4.7 ALL ALL ALL DENSO is the OE supplier for this vehicle; OE-specified Oil included. Click For More Info 1994 - 1995 RAM 2500 ALL V10 8.0 ALL ALL ALL OE recommended replacement part. OE-specified Oil included. Click For More Info 1994 - 1995 RAM 2500 ALL V8 5.2 ALL ALL ALL OE recommended replacement part. OE-specified Oil included. Click For More Info 1994 - 1995 RAM 2500 ALL V8 5.9 ALL ALL ALL OE recommended replacement part. OE-specified Oil included. Click For More Info 1994 - 1996 RAM 2500 ALL L6 5.9 ALL ALL DIESEL OE recommended replacement part. OE-specified Oil included. Click For More Info 1996 - 1996 RAM 2500 ALL V8 5.2 ALL ALL ALL OE recommended replacement part. OE-specified Oil included. Click For More Info 1996 - 2002 RAM 2500 ALL V10 8.0 ALL ALL ALL OE recommended replacement part. OE-specified Oil included. Click For More Info 1996 - 2002 RAM 2500 ALL V8 5.9 ALL ALL ALL OE recommended replacement part. OE-specified Oil included. Click For More Info 1997 - 2004 RAM 2500 ALL L6 5.9 ALL ALL ALL OE recommended replacement part. OE-specified Oil included. Click For More Info 2005 - 2005 RAM 2500 LARAMIE L6 5.9 ALL ALL ALL OE recommended replacement part. OE-specified Oil included. Click For More Info 2006 - 2009 RAM 2500 ALL L6 5.9 ALL ALL ALL OE recommended replacement part. OE-specified Oil included. Click For More Info 2007 - 2009 RAM 2500 ALL L6 6.7 ALL ALL ALL OE recommended replacement part. OE-specified Oil included. Click For More Info 1994 - 1994 RAM 3500 ALL L6 5.9 ALL ALL DIESEL OE recommended replacement part. OE-specified Oil included. Click For More Info 1994 - 1994 RAM 3500 ALL V10 8.0 ALL ALL ALL OE recommended replacement part. OE-specified Oil included. Click For More Info 1994 - 1994 RAM 3500 ALL V8 5.9 ALL ALL ALL OE recommended replacement part. OE-specified Oil included. Click For More Info 1995 - 2002 RAM 3500 ALL V10 8.0 ALL ALL ALL OE recommended replacement part. OE-specified Oil included. Click For More Info 1995 - 2002 RAM 3500 ALL V8 5.9 ALL ALL ALL OE recommended replacement part. OE-specified Oil included. Click For More Info 1995 - 2005 RAM 3500 ALL L6 5.9 ALL ALL ALL OE recommended replacement part. OE-specified Oil included. Click For More Info 2002 - 2003 RAM 3500 ALL L6 5.9 ALL ALL DIESEL OE recommended replacement part. OE-specified Oil included. Click For More Info 2006 - 2007 RAM 3500 ALL L6 5.9 ALL ALL ALL OE recommended replacement part. OE-specified Oil included. Click For More Info 2007 - 2009 RAM 3500 ALL L6 6.7 ALL ALL ALL OE recommended replacement part. OE-specified Oil included. Click For More Info 2008 - 2009 RAM 3500 ALL V8 5.7 ALL ALL ALL OE recommended replacement part. OE-specified Oil included. Click For More Info 2003 - 2006 SPRINTER 2500 ALL L5 2.7 ALL ALL ALL DENSO is the OE supplier for this vehicle; OE-specified Oil included. Click For More Info 2003 - 2006 SPRINTER 3500 ALL L5 2.7 ALL ALL ALL DENSO is the OE supplier for this vehicle; OE-specified Oil included. Click For More Info 1995 - 2000 STRATUS ALL L4 2.0 ALL ALL ALL OE recommended replacement part. OE-specified Oil included. Click For More Info 1995 - 2000 STRATUS ALL L4 2.4 ALL ALL ALL OE recommended replacement part. OE-specified Oil included. Click For More Info 1995 - 2000 STRATUS ALL V6 2.5 ALL ALL ALL OE recommended replacement part. OE-specified Oil included. Click For More Info 2004 - 2006 STRATUS ALL V6 2.7 ALL ALL ALL OE recommended replacement part. OE-specified Oil included. Click For More Info 2006 - 2006 STRATUS ALL L4 2.4 ALL ALL ALL OE recommended replacement part. OE-specified Oil included.